Nothing infiltrated pop culture quite like Netflix's Stranger Things managed to last year. With Stranger Things season 2 just around the corner, fans are becoming truly excited and they have a great many questions heading into the highly-anticipated batch of new episodes. For one, they want to know how the town of Hawkins is going to handle Barb's death. We now know that Barb's parents are going to feature in Stranger Things season 2 and that Barb, even though she is dead, is going to play a huge part in the story. Fans loved Barb so much that they created a social media campaign, #JusticeForBarb, following Stranger Things Season 1. They want to see Barb come back, which won't happen, but they at the very least want some legitimate justice for her character. But she is most definitely dead. It was probably hard to imagine that a character with so little screen time was going to resonate so intensely with fans and series creators Matt Duffer and Ross Duffer have promised that Barb will not be forgotten and that her death will have a major impact on the other characters and residents of Hawkins. Specifically, Nancy Wheeler (Natalia Dyer). As the actress tells it, trying to find justice for Barb will be a big storyline for her. Here's what she had to say about it. "Especially this season, Barb's a big part of Nancy's storyline and that drive to, I don't know how to say it otherwise, to find justice. There are a lot of loose ends there that Nancy feels need to be addressed." 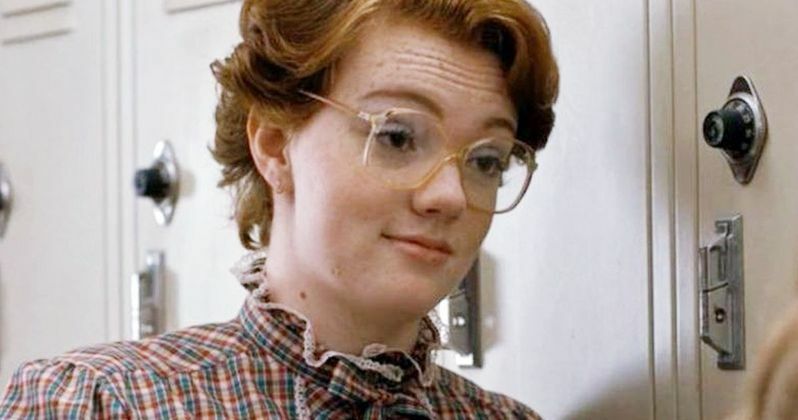 Ross Duffer and Matt Duffer also spoke a bit about what to expect in terms of Barb's story in Stranger Things season 2, even though we won't be seeing Shannon Purser back again. As Ross says, her death is something the show "didn't really deal with last year." The fans noticed. So how are they going to handle it this year? Through her parents. Here's what Matt Duffer had to say about it. "You met her mom briefly last year but we introduce her dad. The only thing that bothered me about the Barb criticism was people saying her parents didn't care about her, of course they care. In their mind, Hopper has been slacking off and he's a joke of a chief." So it sounds like Hopper is going to get dragged through the mud a bit in Stranger Things Season 2. Even though we still have a lot of questions, these comments made to EW do give us a slightly better idea of what to expect from the beloved sci-fi series. Luckily, we don't have to wait much longer to find out everything else we're dying to know, as Stranger Things season 2 arrives on Netflix on October 27. Just in time for Halloween. Plan accordingly.